This is another mini blog in that it is an excerpt from some conversations I had on-line. Names have been redacted to protect the guilty. It talks about how sales people can use LinkedIn without annoying the heck out of everybody yet still get business. It is far from the full story but food for thought none the less. Here it is. Well for starters it is not a “magic bullet” and you have to do it right, consistently and selflessly for a long time before you start to see results. It doesn’t happen over night. Be a good, polite internet denizen for at least 6 months and maybe things will start to happen for you. I spent years training sales people and the hardest thing to teach was always long-term strategies. Why? The “normal” mode for most sales people is “close early and often”. That doesn’t work out so well in Social Media in general and LinkedIn in particular. 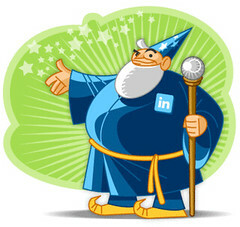 LinkedIn marketing is non traditional. It takes time to develop a relationship. Your message and brand needs to be consistent across many platforms as well as consistent with your personal values. Join Industry Groups. Monitor conversations for solutions (general) that you can contribute within the context of the conversations. If you can establish yourself as the “go to” person for problem solving or connecting people to each other, the business will follow. Follow Companies that you would like to do business with. See what they post. Scout out their employees and join some of the groups they are in. You are establishing a rational for asking to connect. Just as I suggested you should connect with Melonie (I get nothing for that), you should be looking for opportunities to connect people in your network together. http://topdogsocialmedia.com/ As often as I refer people to Melonie, I should ask her to set up an affiliate link for me. At the same time, Dave got business thanks to you so the next time someone asks him for something that his company doesn’t do, you’d hope he will think of you and reciprocate. It is called “feeding your network” and it does pay off. I got interviewed recently for a 7 month contract for Fraser Valley Training Group and it was a total Bluebird. I was blissfully unaware of their existence until a prominent figure in Abbotsford who I have helped connect for 4 years emailed me the RFP saying “I think this is right up your alley and I know the people” Sure enough, I went directly to the short list of bidders. I may or may not land the contract but I wouldn’t have even gotten to bid without this woman’s help. Over the years we have helped each other out many times.. The first time got me a contract and the current one still might get me a contract. In both cases, they were Bluebirds that resulted because I “Feed my network” both on-line and in person.
. In the old days, Insurance Sales People always wanted to be my friend because I was what they called a “Sphere of Influence”. Nowadays my online equivalents are being called “Super Connectors”. Damn. This is turning into another blog post! Enough for now. Now go show a little “Enlightened Self Interest” by connecting people you know to people or solutions they need. Be that Super Connector and you will start getting Bluebirds from the sky yourself! Thanks for re-blogging my article.